Your Professional Electrical Contractors Family owned and operated for two generations, A. J. Moore Electric is dedicated to providing high quality, reliable service to commercial, residential and retail clients. We are fully licensed and insured, and our proficient staff of electricians is ready to provide exceptional workmanship on your next project. "A. J. Moore Electric provides our projects with service that we don't always see from other electrical contractors. I can tell they are a well-managed company." ~ Local Chain Restaurant Job Supervisor With over 60 years of combined licensed electrical experience our broad range of experience and knowledge leads to quick, effective troubleshooting and consistent on time and on budget job completion. At Tillges Electric, our residential customers are a major focus of our company. Customers are one of the main reasons Jason started his company. So many times we hear of private residents being treated like just a number; many times a contractor of any trade will take advantage of a residential customers’ lack of knowledge when it comes to construction. We not only want to be the premiere residential electrician people call when they need service, but a resource people can turn to when it comes to any home improvement. Tillges Electric is the leading residential electrician that will do anything having to do with residential electrical service. We provide free estimates and usually ask for a 7 day turnaround. We will also complete jobs on a time & material basis – both options are upon agreement of the homeowner and Jason. JNH Electric is a trusted provider of electrical contracting service, electric repair and residential and commercial electrician services. We offer a wide range of electrical services. 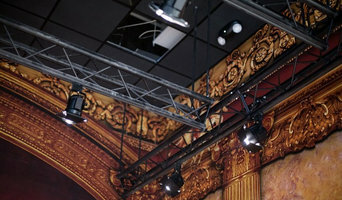 Whatever your project, we can help you restore your lighting, add new wiring and meet Minnesota electric codes. At Kirtland Electric our mission is to provide the best customer experience for all electrical needs, directly reflecting our passion and commitment to being a Twin Cities leading Union Electrical Contractor. Our customers receive prompt, high quality work, and outstanding customer service, using high quality products at competitive prices. We use the latest technology and offer innovative solutions. We strive for excellence in all areas of our business, systems, procedures, policies and practices. You can be assured our work meets industry compliance standards. Electric by Design, Inc. is a licensed Minnesota electrical contractor based in Vadnais Heights, MN specializing in all types of electrical contracting for both residential and commercial projects. Quickly becoming recognized as a Design/Build leader in the electrical industry, the professionals at Electric by Design pay particular attention to personalizing each and every project to meet your specific needs. With our years of experience and vast product knowledge, we assist you in developing a budget to assure affordability of your project. We are confident in the products we use and the service we offer and, as a result, you end up with a 2-year warranty covering the products and the service work we perform. We believe in providing fair, honest, and quality service. We communicate the details of your project with you because no matter how small or large your project is, paying attention to even the smallest of details allows us to carry out your project to meet your needs. Barnd Electric is a full service electrical contractor. Thirty years of experience has shown us that customers want to be listened to and be informed at every step of the project. A distinct difference in our business approach: We take the time to understand all your expectations. We explore all options before starting a job, making sure that your project meets your needs, now and in the future. At Byron Electric, you’ll find an electrician that treats your home like one of our own. Perhaps you’re planning a renovation or remodel of a kitchen, den, office, garage or your unfinished basement. Maybe your home was built in the old days, complete with short circuits and outlets in awkward places. Or, you just want to illuminate some artwork in your studio or living room. Whatever the case, we’ll shed light on your projects – no hassle guaranteed. Our team of electricians provide customized electrical designs, professional installation, and exceptional support during and after project completion. We understand that no two jobs will be the same, so we approach each job and create a customized electrical design to fit it’s unique needs. With Xtreme Electrical Services, you can expect high quality, professional work, and great customer support during and after the completion of the project. Accredited Electrical Solutions (AES) is a family owned electrical contracting company. AES was founded in 2009 by husband and wife team, Matt & Heather McGill. 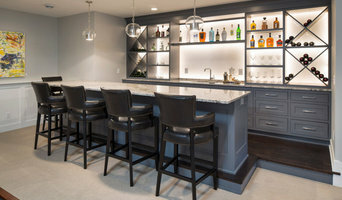 We are a Minnesota licensed and bonded electrical contractor serving the twin cities metro area and surrounding suburbs. Our team has over 65 years of combined experience to help you with your electrical needs. Our firm specializes in residential and commercial remodels and additions. We handle all types of projects, from replacing an outlet to a commercial build out, we have the solutions for all of your electrical needs. We take pride in our quality electrical work, and offer fast 24 hour emergency electrical service. At McGrath Electrical Services LLC, we know that using a Le Center, MN, electrician to take care of your electrical problems can remove the hassle and stress associated with trying to perform the repairs yourself. We're dedicated to customer satisfaction with our work, so we use premium materials so that we can stand behind our results. We're dedicated to high-quality work, and we can work on both new construction and remodeling projects. We're locally owned and operated and proud to offer a punctual, professional staff. Our goal is to work as efficiently as possible to minimize the time we have to spend in your home. We want you to be able to count on us for: Free estimates on installations 24/7 emergency services Weekend appointments As Le Center, MN, electrician, we take pride in our work and don't compromise on quality. We want you to benefit from our prompt and courteous service and easy appointment scheduling. To find out more about how we can help, call us at McGrath Electrical Services LLC and set up an appointment. Vetter’s Electric is a growing company located in Forest Lake, Minnesota. It is family owned and operated by Joel and Jenny VanCanneyt. Vetter’s is a full service electrical contractor and is available to do small, medium or large size projects. We are available for service in the Minneapolis/St. Paul area and surrounding suburbs. Vetter’s Electric strives for the best quality and service, even after the job is complete. We also understand the importance of time lines and scheduling and we will be there when we are needed. We are competitively priced and continue to keep our overhead to a minimum. We are very eager to acquire new, satisfied customers, develop excellent working relationships and certainly new friends. When you have commercial, residential or industrial work that needs to be done quickly and with an eye for quality, look no further than K-lee electric. We are highly-trained, industry-certified master electrician working for commercial, industrial and residential clients.